Do you ever check out the morning or nightly news and think there’s no hope for this world? So many bad things are happening and we’re hearing about them all through an endless news cycle. It can seem there’s too much bad and not enough good in the world. But before you let your hope for a better future be extinguished, you should view the matter through the eyes of best-selling author Ilchi Lee. He discusses how important hope is to the Earth and mankind in his books Earth Citizen and Earth Management: A Dialogue on Ancient Korean Wisdom and Its Lessons for a New Earth. Here are some tips for having hope and how to better the world with it even when things seem their darkest. In Earth Management, Lee shares a story in his life about a time he had no hope, and how a pile of trash changed all that for him. When Lee was younger, his life wasn’t going well—he felt he had become an embarrassment to his family and his future wasn’t going the way it was expected to. He had no hope left that things would ever work out for him. As he was walking in his neighborhood one day, he saw a pile of garbage underneath a bridge. That trash reminded him of himself. “The word trash refers to something that has been used and then discarded, something no longer worth using. I felt completely hopeless, like trash,” he wrote. That’s when Lee had a novel concept—he could create hope by finding a purpose for that trash. He could turn it into compost fertilizer, which would then do something good for the world and the people in it. Despite the odd looks from others, Lee hauled that trash until his body was sore and bruised from the weight of it. 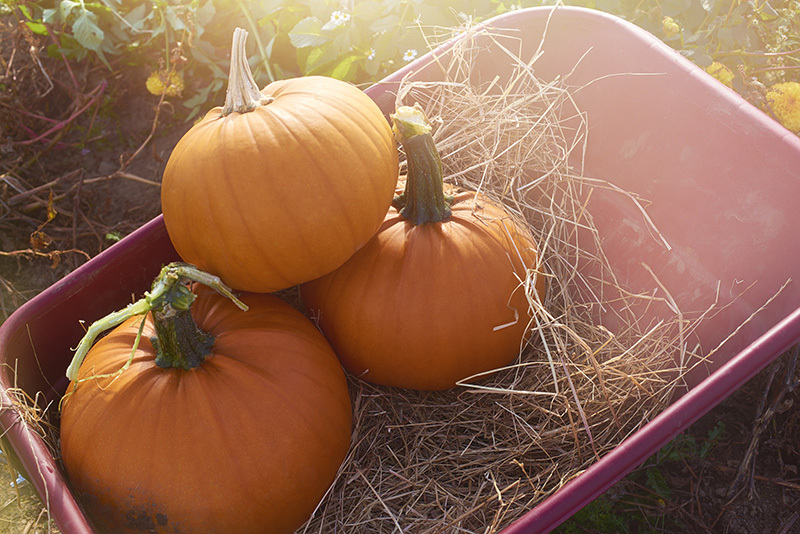 He dug deep holes, filled them with the trash and soil, and planted pumpkin seeds in it. Over time, those pumpkins grew big and plentiful, and Lee shared them with his neighbors and the local cows. He had found hope in the unlikeliest of places—a trash pile—and it all began with one unorthodox idea. That act turned his life around by giving him a sense of pride and teaching him that hope could be found anywhere. It’s not enough to have an idea or to have hope; you must act upon that idea. You may hope you’ll graduate from college with flying colors, but unless you act upon that desire by studying, you’re unlikely to achieve that vision. It’s the same concept when it comes to improving the world—if you aren’t willing to roll up your sleeves and do the necessary work, you won’t be able to change anything. Lee learned that with his pumpkin endeavor. Hauling all the trash and digging those holes was back-breaking work, but Lee kept at it because it was important to him. “Since then, if I believe something is right, I act on it right away. Even now, the only important thing for me is if what I’m doing is right, and if it is something our society needs. If it’s the right thing and it’s needed, I just do it right away,” he wrote. Sometimes we can get so caught up in long-term planning and how things can go wrong over time that we let ourselves get talked out of trying in the first place. Do you ever wonder how long-distance runners can run such amazing distances? For most people, the idea of running a marathon, 26.2 miles, is unthinkable. But what long-distance runners do is break the task into bite-size pieces. They only worry about what they are doing that day. They worry about the run that they’re doing at that moment—not the run they’ll have to do the day of the marathon. And when they are running their marathon, they focus on the mile they are running at that moment—not the miles still ahead of them. They stay in the moment. That’s something Lee does as well to keep his hope going. That’s what living in the moment can do for you—it removes your biggest stumbling blocks. Think about how much hope you can spread and how much good you can do for the world once you get your biggest foes—negativity, inactivity, and disbelief—out of the way. Ilchi Lee initiated the Earth Citizen Movement because he believes human beings are the solution to the problems we’ve created. The first step is taking on the common identity of Earth Citizen, beyond all man-made borders. Earth Citizens work together in harmony to care for the Earth. 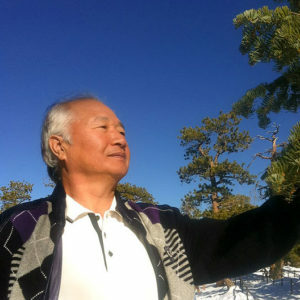 Ilchi Lee has written over 40 books and created the mind-body practices of Body & Brain Yoga and Tai Chi and Brain Education in order for people to reconnect to their true nature and the essential nature of the Earth. These practices are taught in Body & Brain centers and retreat centers around the world, as well as online at ChangeYourEnergy.com and ChangeTV.kr.